God Bless You Dear Readers. 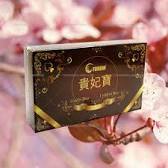 The Fohow Group of Company Limited, based at Zhuhai, China, manufactures and distributes Natural Health Care Products. Their Products are approved, registered with and by NAFDAC. They have distributors world-wide. The Company’s Products are preventive, curative, revitalize dying cells, build, as well as strengthen, the immune system, enhancing longevity. – Makes blood and qi flow fluently in channels and vessels. – It can help recover a glowing complexion. leucorrhea, hysteromyoma and mycotic infection. – Promotes the secretion of female hormones. For those interested in purchasing Fohow Guifeibao, please feel free to text or call me on +2348034863154 or +2348097890448 – this number is also on (WhatsApp), or send a mail to lynmail45@gmail.com, and I will promptly attend to you. Stay Healthy Always And Remain Blessed. Love You All.